Like in athletic departments everywhere, a new season means new faces, new players and new competition. These mysterious new athletes are called transfers. But with all these new faces comes a few questions. Where are these students coming from? Why are they here? Are they happy with their choice to transfer to Southern Nazarene University? 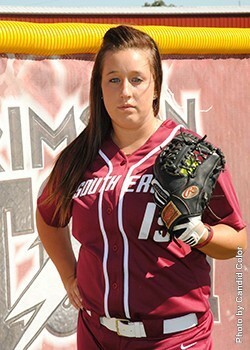 Kayla Wyatt is a sophomore Early Childhood Education major and the ace pitcher on the 2014 roster for the Crimson Storm. However, she is also a transfer student from the Division I school, University of Nebraska at Omaha. Wyatt transferred to SNU to join the Lady Crimson Storm softball team, coached by Tere Webber. Some students/faculty who have always been here may, at times, take for granted the sense of community that SNU provides. They might ignore the friendly gestures every morning from the custodian, the sincerely caring professors or the many opportunities to create friendships. However, for the people who have been elsewhere, they cherish these very same things, seeing their value and importance. At the end of the day, all any athlete really wants is to find their home, the place where they belong, the place where they are needed, the place where they feel at the top of their game. And sometimes, that home for people just happens to be SNU. Next PostHow do we love the homeless?